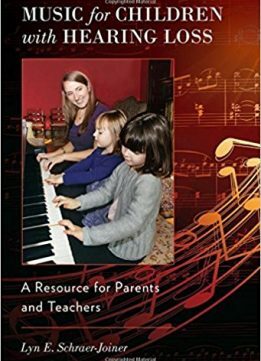 Written by an expert in the field who is both a teacher and a teacher-educator, this book is an in-depth and practical resource for educators and parents who wish to introduce music to children with hearing loss. Author Lyn Schraer-Joiner makes a compelling case for offering music education to children with hearing loss before presenting a series of important and up-to-date teaching strategies meant to inform their educational experience, including preparations for the classroom, communication strategies for parents and teaching staff, and tips on more specific or technical matters such as conducting musical audiograms. These resources provide a solid background for hands-on instructional materials such as music lessons, supplemental activities, educational resources, discussion points, and journal samples for the classroom and home. 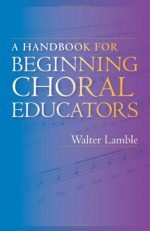 Schraer-Joiner goes to great lengths to offer detailed, purposeful suggestions for specific classroom settings such as general music, choral ensemble, and instrumental ensemble as well as a set of recommended listening lessons that take this potential variety of settings into account. Furthermore, Schraer-Joiner provides suggestions for incorporating music into everyday activities and also presents an overview of recent research which reinforces the benefits of music upon social and emotional development as well as speech and language development. Each chapter concludes with a section entitled For Your Consideration which features review questions, ideas, and instructional activities that teachers and parents can accomplish with deaf and hard of hearing children. 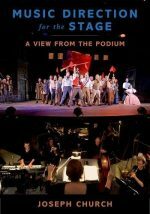 The book's "Kids Only" online component provides deaf and hard-of-hearing children with descriptions of the many opportunities available to them in the arts, inspirational case studies and stories, as well as important ideas and topics for deaf and hard-of-hearing children to consider discussing with the teachers, family members, and healthcare professionals that they work with. The message of this book is a powerful one particularly in this day and age. As hearing aid and cochlear implant technologies improve and become increasingly widespread, all teachers―especially music teachers―should expect to see more deaf and hard-of-hearing children in their classrooms. Awareness and preparation are not only vital in aiding these children in the classroom, but are in fact required of teachers by federal law. 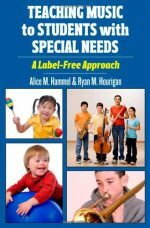 This book is a comprehensive resource for teachers and parents who wish to gain a better understanding of the emerging field of music education for students with hearing loss.